'Redingote castor loutre'. Long coat made of otter fur with lace and fur trimming. 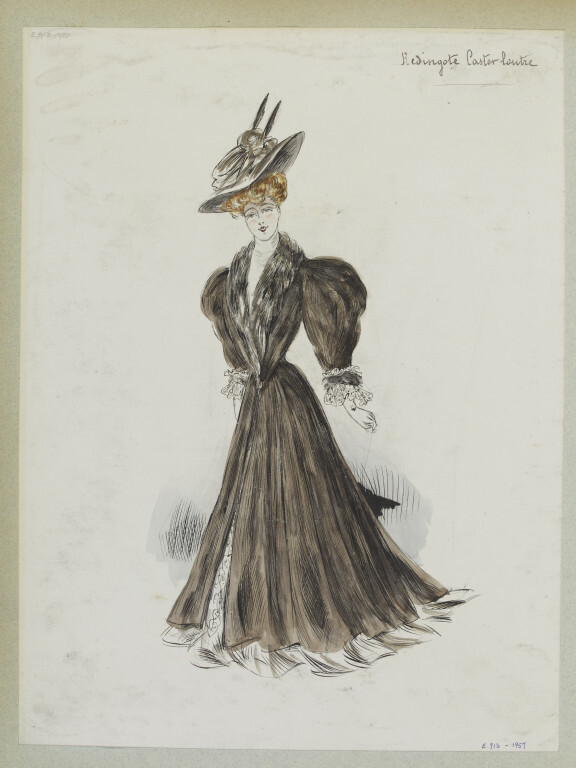 1 of 113 dress designs for Winter 1904 in volumes. Jeanne Paquin. Winter 1904. 'Redingote castor loutre'. Long coat made of otter fur with lace and fur trimming. 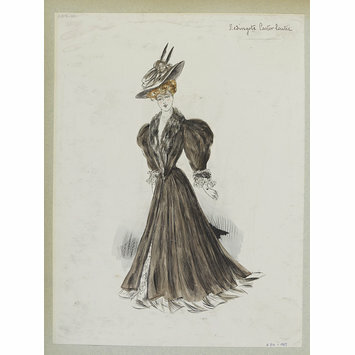 1 of 113 designs for Hiver 1904.